Stoke denied Middlesbrough the chance to return to the top of the Sky Bet Championship as they held Tony Pulis' side to a 0-0 draw at the bet365 Stadium. Boro - who boast the best defence in the EFL - were put through their paces by Gary Rowett's men and had on-loan defender Danny Batth to thank for a series of crucial blocks. Martin Braithwaite spurned a number of chances when he opted to strike from range and Potters 'keeper Jack Butland made two smart saves after the break to preserve his clean sheet. Stoke's sixth draw of the season leaves them 15th in table and six points off the play-offs, while Boro are two points behind new leaders Norwich after 16 games. Ex-Stoke boss Tony Pulis had never lost in seven meetings with his former employers, yet it was the hosts who could have taken the lead on a number of occasions, were it not for the intervention of Batth. Early on, he avoided conceding a corner despite turning Benik Afobe's shot over the bar, while on the half-hour mark his brave block denied Saido Berahino, who had robbed Aden Flint on the edge of the area. 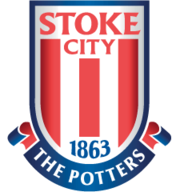 The Potters restricted their opponents to just one meaningful effort in the first half, though Stewart Downing's swerving effort was powerfully beaten away by Butland. After the break the game remained finely poised and Batth soon made his presence known once more as he put his body on the line to clear when Berahino had cushioned a header into space 12 yards out. Gary Rowett made two changes from the side that beat Bristol City last time out, with Ryan Shawcross and Peter Etebo taking their places in the starting 11, in place of injured pair Darren Fletcher and Erik Pieters. Tony Pulis rang the changes despite Boro's midweek Carabao Cup win over Crystal Palace, with Danny Batth, George Friend, Martin Braithwaite and Jordan Hugill remaining as the sole survivors. Stoke had a man mountain of their own to thank for keeping the scores level as Butland saved well from both Jordan Hugill and Jonny Howson. But although Peter Crouch, Bojan and James McClean entered the fray in a late triple change, both defences held firm and their toils were rewarded with a point apiece. Making just his fourth appearance of a season-long loan from Wolves, Batth may well have just earned himself a starting spot under Tony Pulis for the foreseeable future; he was nothing short of a man mountain for Boro on Saturday evening. 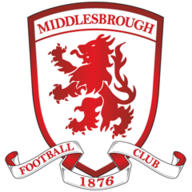 The Teesside outfit are renowned for their defensive strength and Batth epitomised their approach against the Potters, foiling excellent chances on no fewer than three occasions. A magnificent performance from the 28-year-old. Gary Rowett: "I thought we were the better side, but I think what you find with a Middlesbrough side is that they don't give much away. When they need to defend for their lives they do so really, really well. "Benik had a really good chance in the first half and Saido - it's a great block from their lad. We've had some really good opportunities, my only criticism is that last bit of quality in the final third. Other than that, I think they probably had a five-minute spell where they looked quite dangerous, but I felt we controlled the vast part of the game." Tony Pulis: "It was going to be difficult, the conditions were difficult to start with. We went about it in the right way, in the right manner. I thought Butland made a couple of good saves...I thought he did really well for them. "It's not just the football club, I understand the area. I forgot how windy it can get and I forgot they closed one side, so if that side had been open today, it would have been terrible. It's a great club and it will always be very close to my heart. 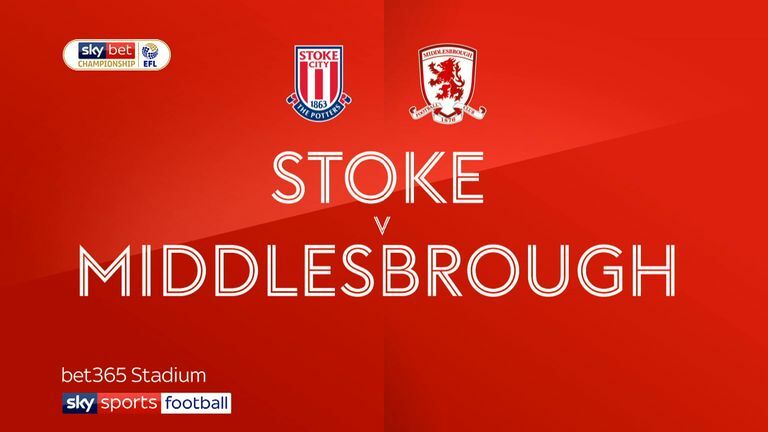 Both sides are next in action on Saturday afternoon, as Stoke travel to Nottingham Forest and Middlesbrough welcome Wigan to the Riverside Stadium.